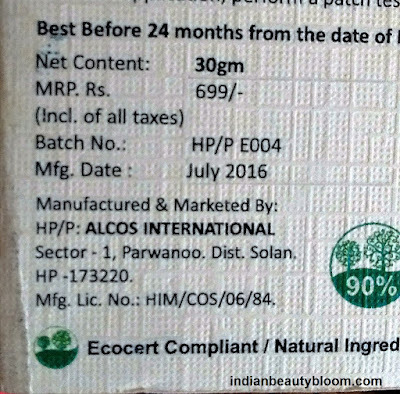 Back with one more product review from brand Ecotique . 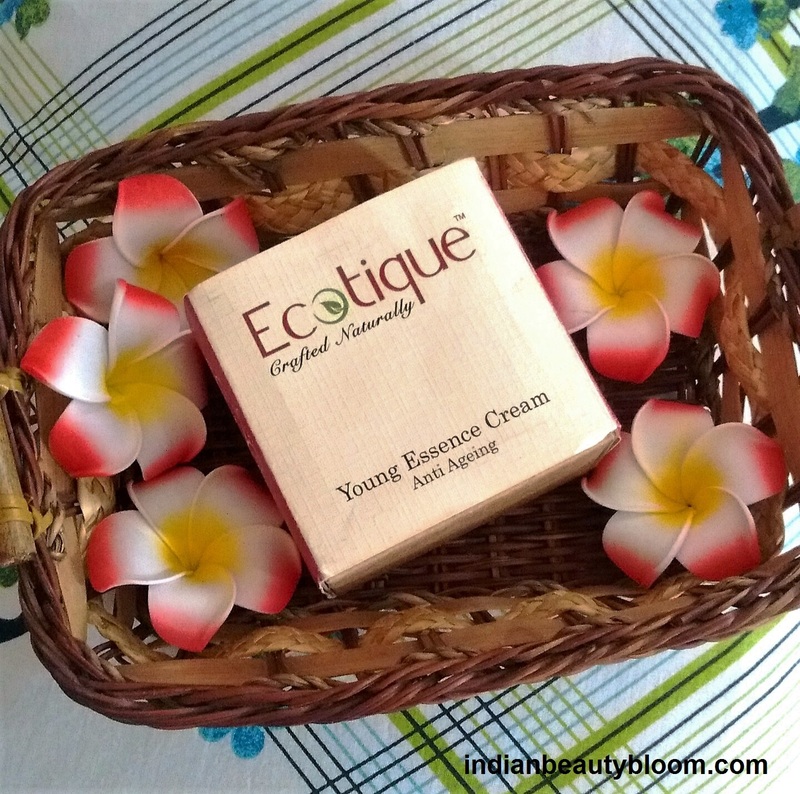 Today I am going to review it’s Young Essence Cream . Ecotique is an Indian brand which has wide range of Skin Care , Hair Care , Bath & Body products . Its products are made combining Ayurveda & Aromatherapy . Its products are free of Sulfates , Parabens , Silicones . 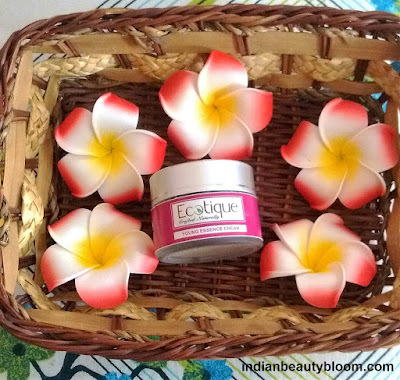 This Young Essence cream is a type of Anti Ageing cream with goodness of Argan Oil , Rose Extract , Peppal Extract and Karanja Seed Oil . 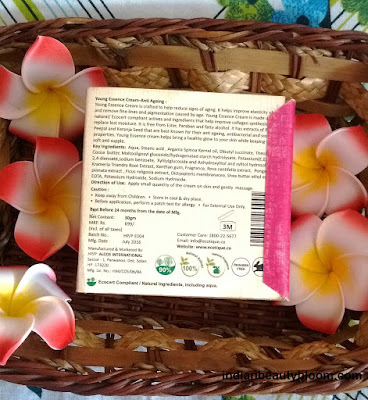 It hydrates , moisturizes and nourishes the skin , protects from sun tan and slows down ageing . 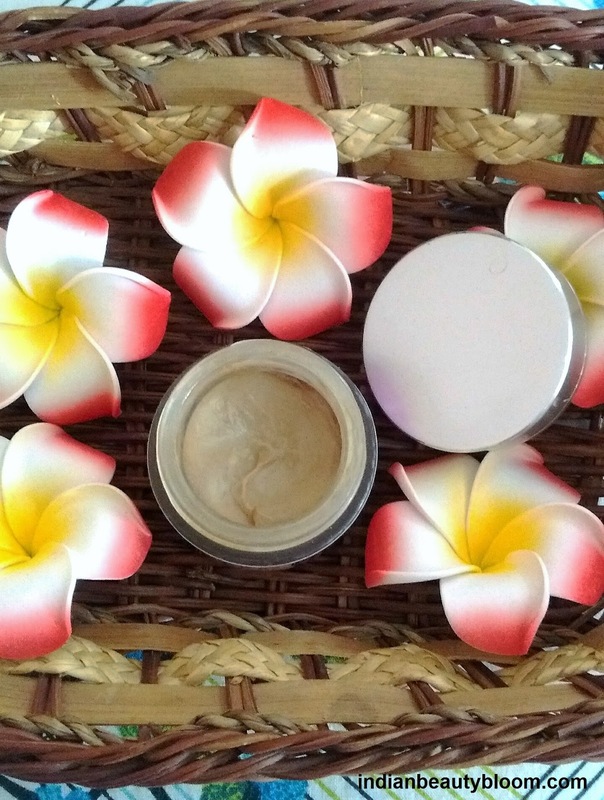 This cream has a thick texture and is of mud color with a nice fragrance . 1. Contains goodness of Argan Oil , Coca Butter , Shea Butter ,all good for skin . 2. Completely moisturizes the skin and keeps it hydrated for a long period of time . 4.Sufficient shelf life for longer use . 5.Regular usage improves the skin . 6.Free of Sulfates , parabens . 7. Its Cruelty free , Not tested on animals . 1. Available only on Online stores , Yet to reach Local Market . The product claims to moisturize and hydrate the skin . Make the skin free from wrinkles , dark spots , pigmentation and blackheads . 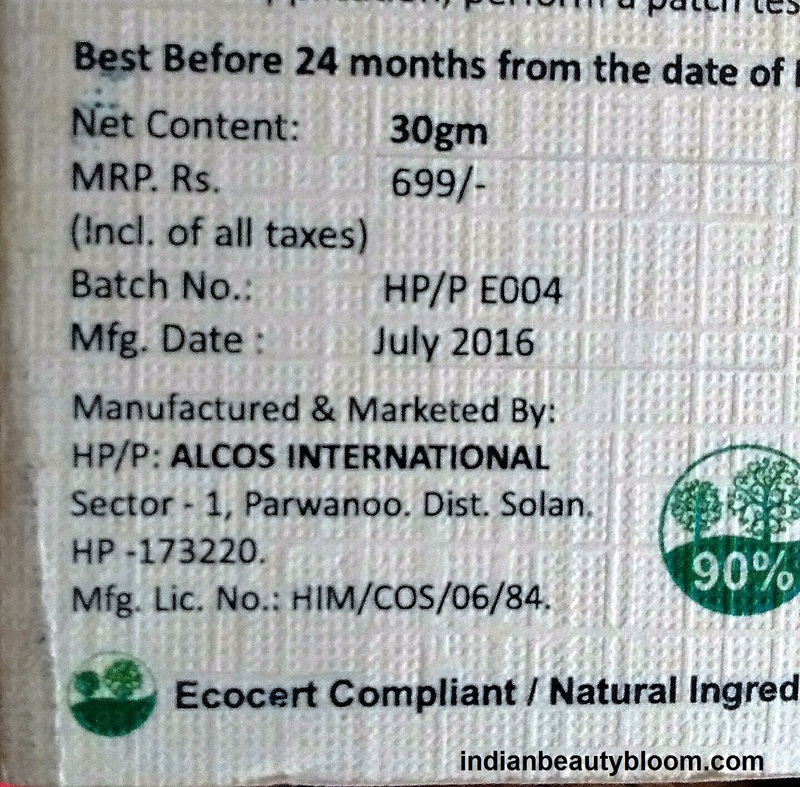 I am using this product as a night cream past one month and I am quite satisfied with its results . Though bit expensive but it’s worth trying . For the first time when I applied this on my skin , it seemed bit Oily as it has Cocoa butter , Shea Butter , Argan Oil but after some time skin felt good and not that Oily . It shows Best Result when used as a Night Cream . I apply a little of it at night and it does it work well , in the morning my skin feels fresh & good . And this is one is Perfect for that . Would recommend this to others to use it as a Night Cream .